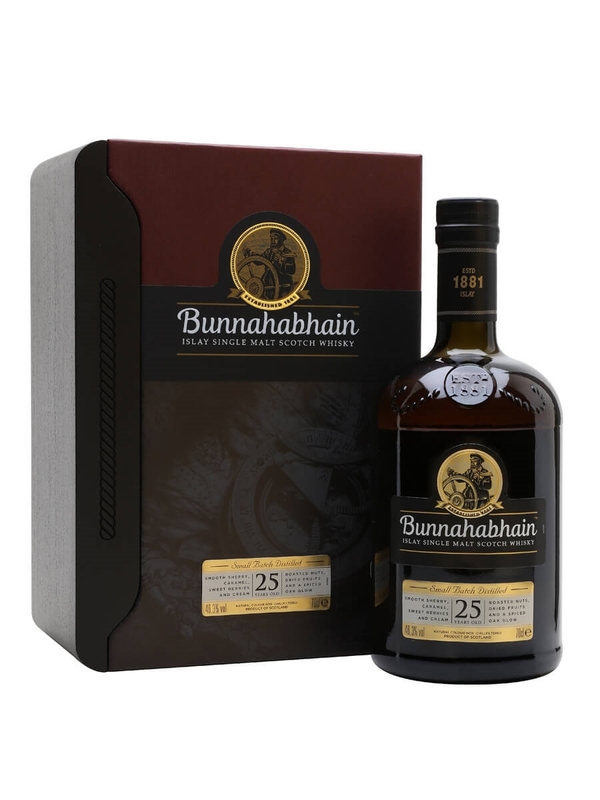 An update to the much vaunted Bunnhabhain 25 year old, keeping the same age statement and presentation but upping the ABV to 46.3% to bring it line with the rest of the range. A great whisky at 43% but even better now with a little more oomph. Not a whisky worth the money. Wrote to Bunnahabhain, no answer to my mail. Last Bunnahabhain bottle for me unless I hear back from them – maybe a bad batch! Bottle had some air! An absolute top of the hill performer. Islay is the mother earth of single malts and this one of her best descendants. Has anyone been lucky enough to try both the "new" 46.3% and "old" 43% 25? If so, please share your thoughts! I enjoyed a dram at a whisky tasting hosted by a colleague two weeks ago, and it is now officially my absolute favorite. Rich, nuanced, smokey and peaty. An absolute bargain for the price. Lord of Single Malts, plain and simple.